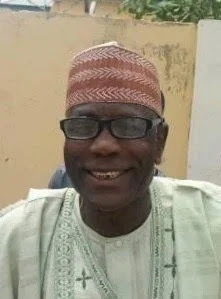 A Federal House of Representatives elect Garba Muhammad Butalawa, representing Kura, Madobi and Garun Mallam in Kano,has died. He contested on the platform of the All Progressives Congress (APC). He died at the Prime Clinic, Lamido Crescent on Saturday at around 2:30pm, his personal driver, Balarabe Shehu Butalawa confirmed this to The Nation. A lot of our politicians are sick. They contest for power so that they can have access to mad money for their health care and drugs. That's why they're even willing to kill for power. May God comfort his loved ones. Abi, when they won't stop contesting from their sick beds. A lot of these old men should have retired but the love of money and power won't let them. Na wao! RIP to the departed soul. Protracted illness? So he was sick & running for an electoral office! How was he planning to effectively manage the office and how did he even qualify to represent his constituency? See the way they are going after winning election. He is a fine man. R I P.
Old men should rest naa. may his soul rest in peace and may his love ones be comforted. Na wah. So they will now conduct a rerun and another will carry the day. Some of them were on their sick bed while waiting for the results of the election,some had to rush to their constituency polling unit to cast their votes and take them back to the hospital immediately while nost able-body,hale and hearty Nigerians were queu under the scouching sun to vote for them.... The irony of life. Hmm. Eleyi gidigan. Funny enough APC will be looking for how to replace him within a twinkle of seconds. Well I pray that all these ancestral politicians should retire and give chance to the vibrant ones.RIP to the dead. All these old men should leave politics and rest na.